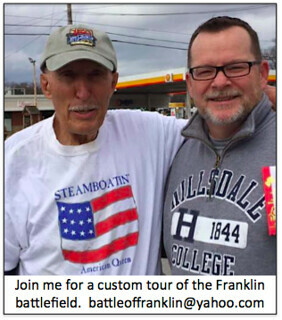 I research and self-publish articles and content on the Battle of Franklin frequently. To access my existing resources in PDF format (free), please go to BattleofFranklin.info and you will be taken to my ScribD site. 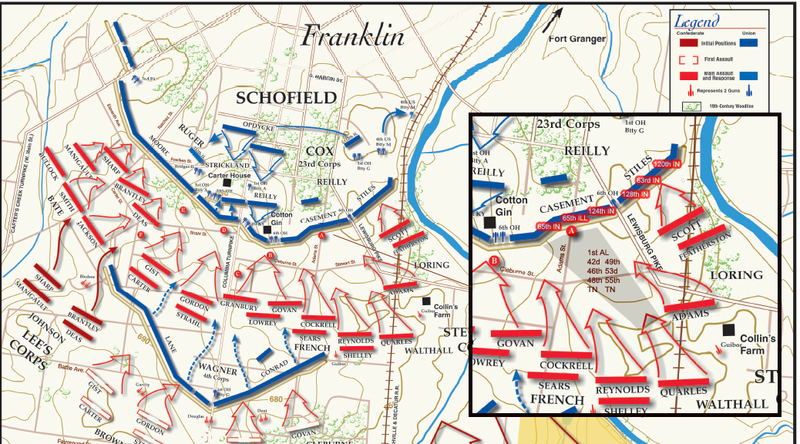 The Battle of Franklin was fought on November 30, 1864 in Franklin, Tennessee; in Williamson County. John Bell Hood’s Army of Tennessee (around 33,000 men) faced off with John M. Schofield’s Army of the Cumberland (around 30,000 men). Often cited as “the bloodiest five hours” during the American Civil War, the Confederates lost between 6,500 – 7,500 men, with 1,750 dead. The Federals lost around 2,000 – 2,500 men, with just 250 or less killed. Hood lost 30,000 men in just six months (from July 1864 until December 15). The Battle of Franklin was fought mostly at night. Several Confederate Generals were killed, including Patrick Cleburne, and the Rebels also lost 50% of their field commanders. Hood would limp into Nashville two weeks later before suffering his final defeat before retreating to Pulaski in mid December. Hundreds of wounded Confederate soldiers were taken to the John and Carrie McGavock home – Carnton – after the battle. She became known as the Widow of the South. The McGavock’s eventually donated two acres to inter the Confederate dead. Almost 1,500 Rebel soldiers are buried in McGavock Confederate Cemetery, just in view of the Carnton house. So what is the Battle of Franklin and why should you care? How many soldiers are buried at McGavock; how many are identified; and how is the cemetery designed? 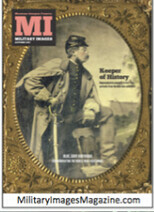 From mystery to history: what happened to CSA Gen Patrick R. Cleburne’s “lost pistol”? Sight of massed troop formations marching across open ground . .
A Sketch of the Battle of Franklin, Tenn.; By John M. Copley, 1893. 49th TN, C.S.A. Burial of the soldiers immediately after the Battle? Union Order of Battle, Franklin, TN (November 30, 1864), Fourth and Twenty-Fourth Army Corps, 4th Corps commanded by BG Thomas J. Wood. 23rd Corps commanded by MG John M. Schofield. Captain W.O. Dodd, Reminicences Of Hood’s Tennessee Campaign.